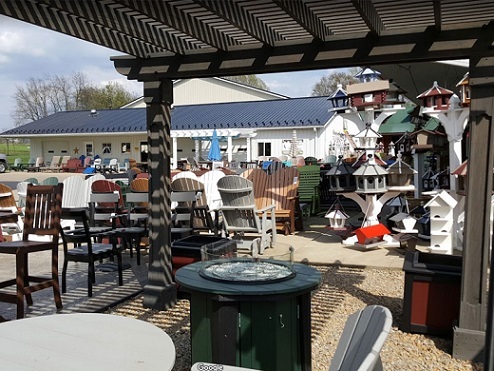 You’ll find most of our outdoor furniture on display when you arrive at Kauffman Lawn Furniture, ready for you to take home. Here, we showcase our playsets, gazebos, birdhouses, barns, and other outdoor furniture pieces made from both poly and wood. Our selection is extensive, so be sure to check out all of our outdoor dining sets, chairs, and pavilions. Children who visit Kauffman Lawn Furniture often flock to our selection of wood and poly playsets. 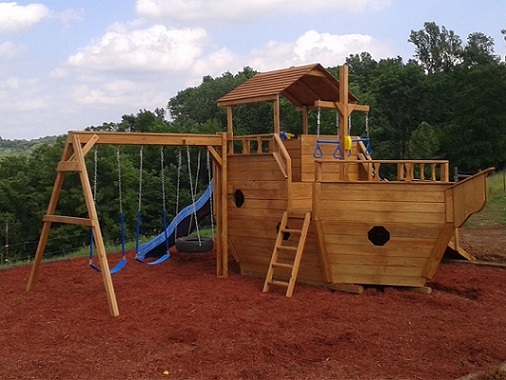 Your kids will make lifelong memories by swinging, jumping and playing on one of our structures. We also offer rocking horses, chairs, toy chests, wagons, toy barns, and more! 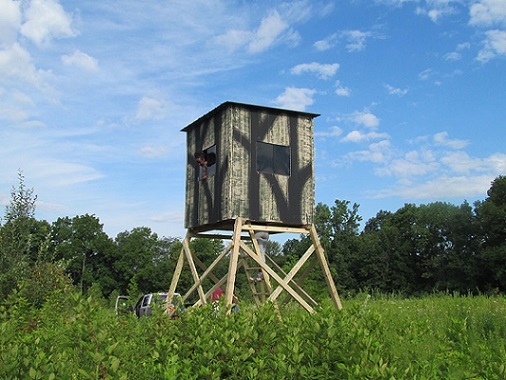 Hunters know how important it is to have a quality blind during hunting season, and our inventory of blinds can’t be beat. We offer a variety of sizes and styles, ranging from basic blinds to models with porches. Whether you want an elevated blind or a ground model, you’ll find the perfect option for your woods at Kauffman Lawn Furniture. For more information, we can be reached at 330-893-3149 or info@kauffmanlawnfurniture.com.